Robert N. Kolis, Sr, 84, of Middlesex, passed away peacefully on Friday; July 6th, 2018 at Bridgeway Nursing Home in Hillsborough with his loving family by his side. Born to the late Stanley and Grace Kolis, Robert has lived in Middlesex for the last 40 years. Robert worked as a service technician for Bosch Packaging in Piscataway before retiring in 1997. He will be greatly missed by all who knew and loved him. 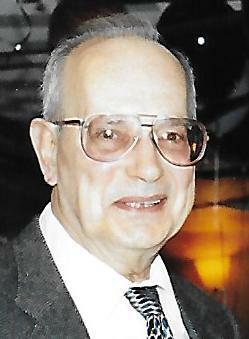 Robert is predeceased by his beloved wife Florence(1998.) Surviving are his 4 children; daughter, Pamela Morris and husband Robert of Middlesex, son, Robert Kolis Jr., of Hamburg, PA, son, Matthew Kolis of Middlesex, and daughter Lisa Kolis of Middlesex, 6 Grandchildren; Kristin, Shaun, Steven, Megan, Melissa, and Cody, and 4 Great-Grandchildren; Siena, Christopher, Joseph, and Robert. All funeral arrangements are private, for more information please contact the Sheenan Funeral Home, Dunellen, NJ.